Last week was an insane battle of the movie posters as just about every huge franchise released new teaser posters for their upcoming film. That included Sony releasing three awesome new teaser one sheet movie posters for their upcoming Marvel film, Spider-Man: Homecoming! 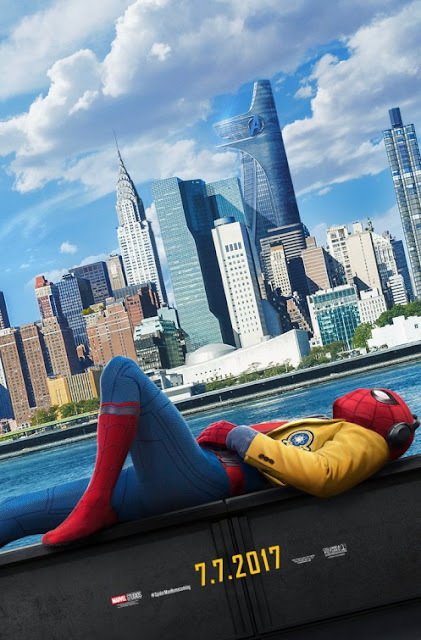 This is the first Spidey film produced by Marvel that takes place in the larger Marvel Cinematic Universe, which means it’ll be about twenty times better than the last three Spider-Man films combined. You can tell Marvel is really playing up Homecoming’s ties to the MCU with Avengers Tower prominently placed in all three posters. 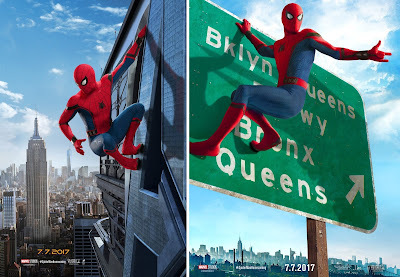 Spider-Man: Homecoming will hit theaters on July 7, 2017 and stars Tom Holland as Spider-Man, Marisa Tomei as Aunt May, Robert Downey Jr. as Tony Stark, and Michael Keaton as the Vulture.